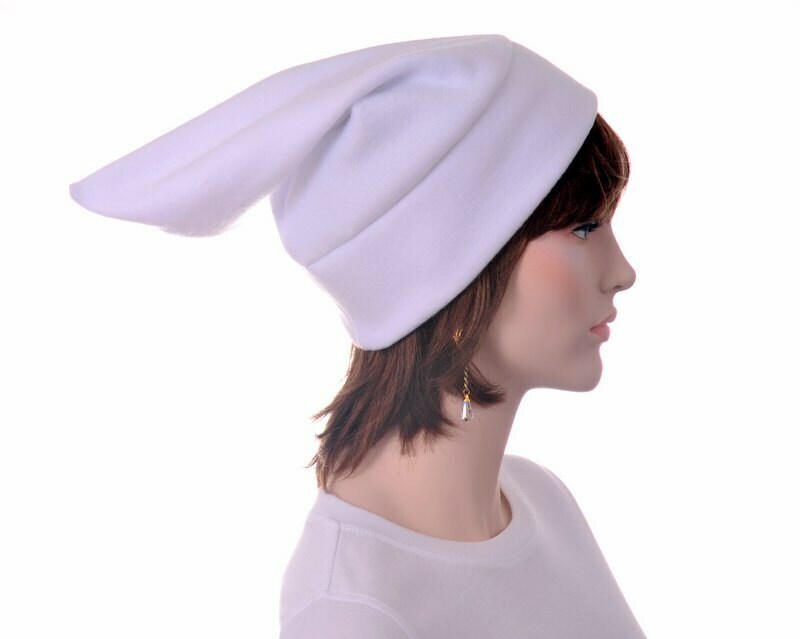 White pointed beanie hat. 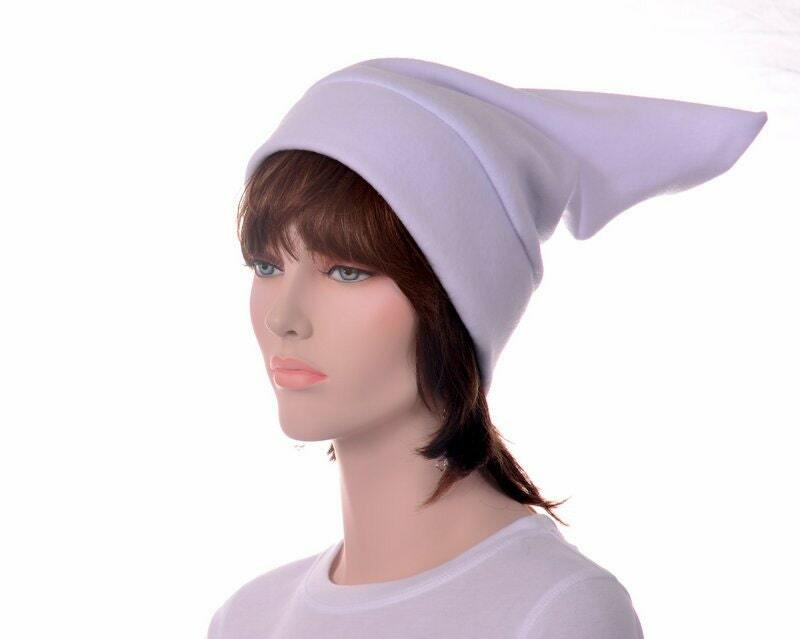 Elf pointed white fleece hat. Measures about 15 inches long. Double thick headband. Warm for winter. 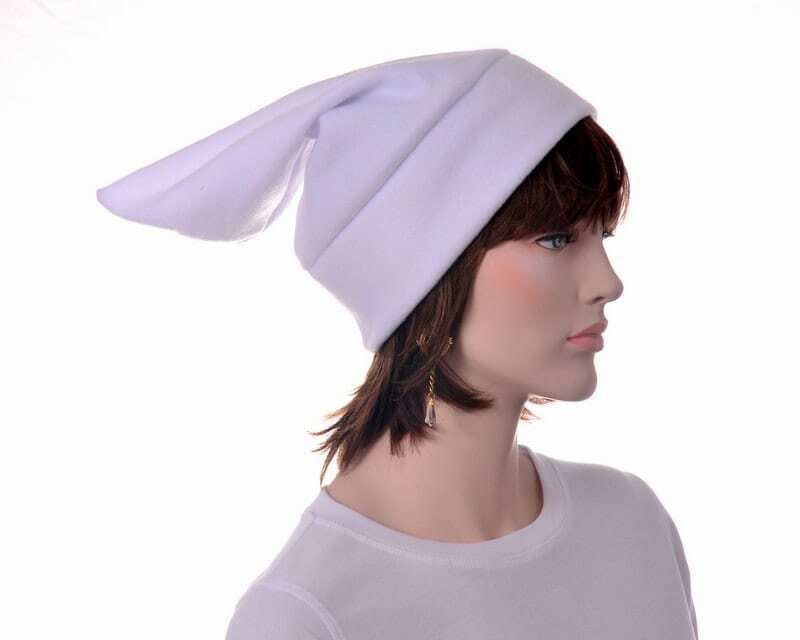 Use it as an everyday winter hat or as a white elf hat. 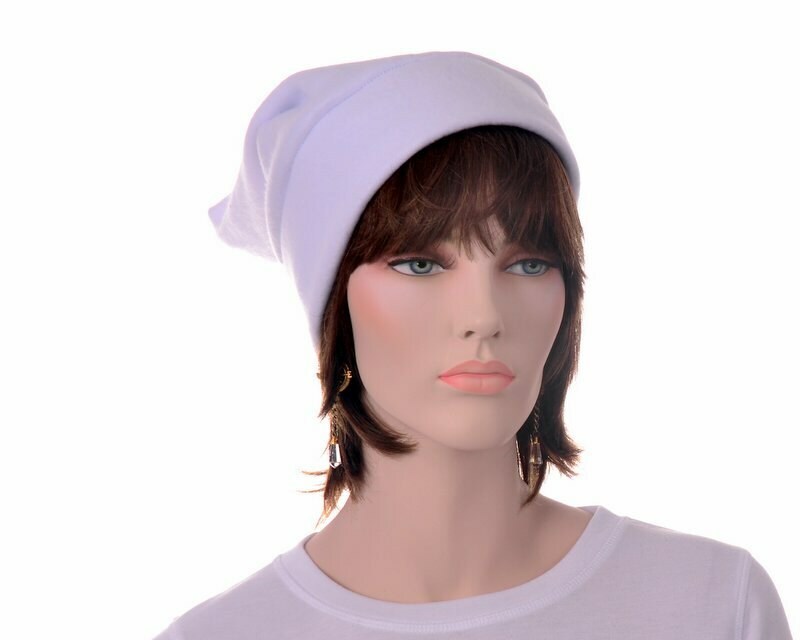 Fits heads measuring 22-24.5 inches which is most adults. Made up and ready to ship, no wait for hat to be made.